The Night to Be Observed begins after sunset on March 30,. 2018. Here is a link to a YouTube video titled. The Night to Be Much Observed. EXODUS When was the Exodus? Did it Happen? Some deny the biblical account of the Exodus. Was Ramses II the pharaoh then? 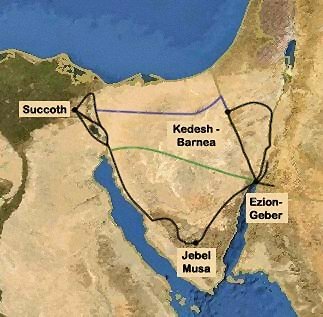 When did the Exodus occur? Is there proof outside of the Bible that there was an Exodus? Here is a related article in the Spanish language: ¿Cuándo fue el Éxodo? ¿Ocurrió realmente? Also: Reasons, Proofs, and Ramifications of the Ten Plagues of Exodus What do you know about these plagues? What happened to the ‘gods of Egypt’? Is there any confirmation outside the Bible? Might something worse be coming? A related two-part sermon is available: Egypt and the Plagues (Part 1) and Exodus Plagues and Prophecy (Part 2). Also: Exodus and the Days of Unleavened Bread This article discusses parts of the Book of Exodus with some connections to the Days of Unleavened Bread. A related sermons are available Exodus 1-4: Jewish Myths or Lessons for Christians Today? and Unleavened Bread: Lessons in Exodus. Another sermon is Exodus, Judgments, and Jesus. Also Exodus 4:24, Why would God have sought to kill Moses? What did Moses do wrong? Do you have a similar problem? This entry was posted on Friday, March 30th, 2018 at 12:01 am	and is filed under COG News, Doctrine.